You are here: Home ∼ 2010 ∼ October ∼ We are like that only! Now, with the new revamped blog, er! Sphere! I promise to blog more frequently, and what better way to start this off than ranting about the way we are. We Indians are! A homemaker lady would fight to save a few rupees arguing with the neighboring vegetable vendors over the price of a potato, or a tomato. At the same time, the same lady would also fight in restaurants, to pay. When she along with a group of friends go to a restaurant, after the routine regular shopping outings, each of the ladies would go for the bill vying to pay it. Everything in our country takes just one minute, or so we are told. No matter when you give your vehicle for service, go back to the mechanic at the schedule pick up time, and he would be like, “one minute sir! Abhi ho jaega!”. No prizes for guessing, it would take atleast an hour more. Remember storing all the small items at some place at your home. Every Indian home has the huge space built atop the cupboards exactly for that. Everything that is plastic ( be it glasses, cups, or even plastic covers that come free after shopping in a super market), we store them religiously. At the same time, we try covering up everything possible in the same plastics. The table top, the TV, fridge, even the study table, everything needs to be covered up in some plastic cover. Well, cricket is religion. The easiest way to start a conversation with somebody Indian is to discuss the highest number of runs scored by God! We do take cricket seriously. Infact, a bit too seriously, so much, that it is declared a holiday when there is a cricket match happening. Now you know why IPL was scheduled in the evening, IST. No, not for the convenience. More to avoid people getting fake stomach aches, and fake grandma’s from dying during the day! One thing is taken even more seriously than cricket – MOVIES. This phenomena is much much more in the southern part of the country, where movies are a religion, and the actors, Gods. People die buying tickets for their idols first day morning show. Queues start two days in advance before the tickets start selling. And full length fights occur in case of anybody demeaning any star. Well, my engineering college was shut for a week, during my second year, just because someone had abused a popular( really!) actor by naming his Counter Strike avatar after the famous Balayya. Inspite of the technology advancing so much, and electric rice cookers and microwaves becoming very much affordable by everyone, we still need pressure cookers. Well, along with the pressure cookers we better ensure that we also have smoke alarms! 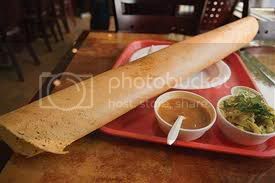 Ever eaten in Andhra Pradesh. Okay, Andhra happens to be the chilli capital of the country, with red chillis being an important crop. That does not mean all food is substituted by red chillies. We inevitably end up eating more spice than food, and this is true across the country. Even more stranger is having more food than the plate can hold! One very important things that stands true is the ability( rather inability) to say NO. not many of can very easily say NO to anything. More peculiar about this is the way we say NO. We shake our head left and right. Well, we also say YES in the same way – Shake our head left and right! WE ARE LIKE THAT ONLY, and this has no bearing with Rama Bijapurkar! p.s. : this post is inspired from this video by trueroots WE ARE LIKE THAT ONLY!